Paul Peterson (Op-ed, Feb. 23) asserts that yearly testing done under No Child Left Behind (NCLB) resulted in increased test scores ("modest" gains in math), "solid evidence" in support of annual testing. Ron Harris (letters, Feb. 27) argues that the increased test scores are due to better test-taking strategies. 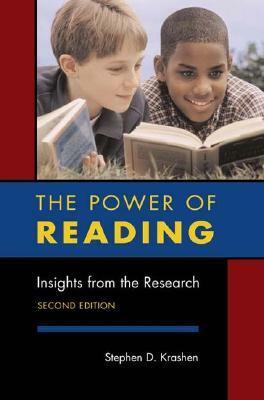 Researchers Jaekyung Lee and Todd Reeves analyzed data from all 50 states from 1990 to 2009 and concluded that the NCLB testing policy did not increase reading gains and did not close ethnic/racial and socio-economic achievement gaps in reading. 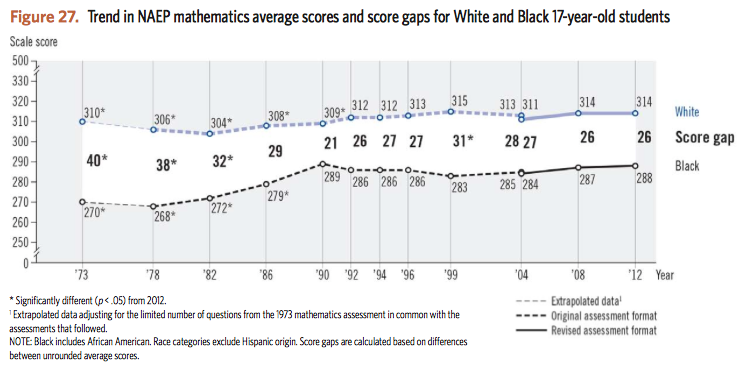 Gains in math were not "modest" but small, and the reduction of the math achievement gap fell far short of reaching NCLB targets. 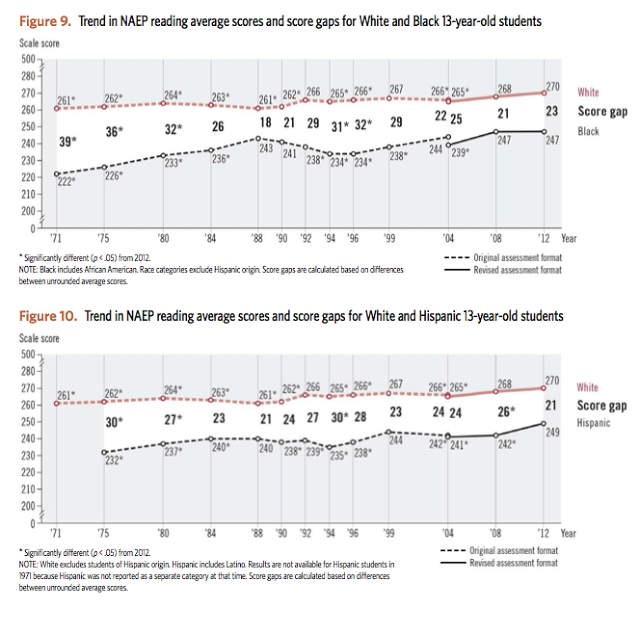 Lee and Reeves based their conclusions on the NAEP test, a "low-stakes" test that is immune to "test preparation." 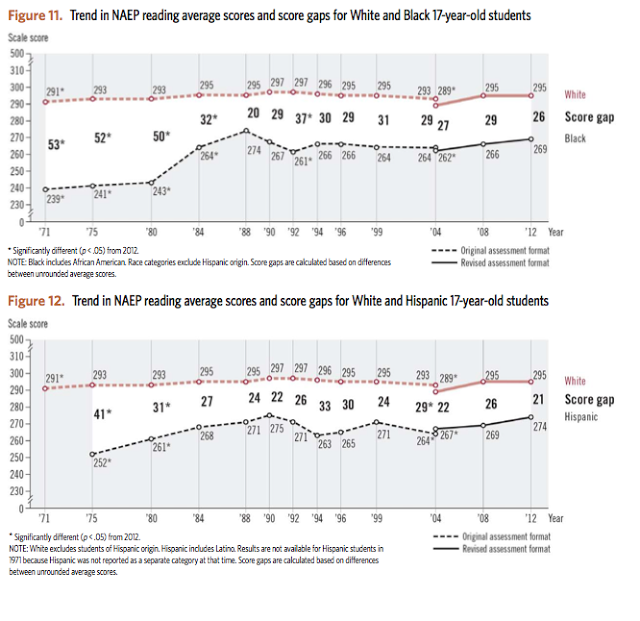 NCLB test score gains were not due to better test-prep: Lee and Reeves' analysis strongly suggests that they never happened. Lee, J. & Reeves, T. (June 2012). 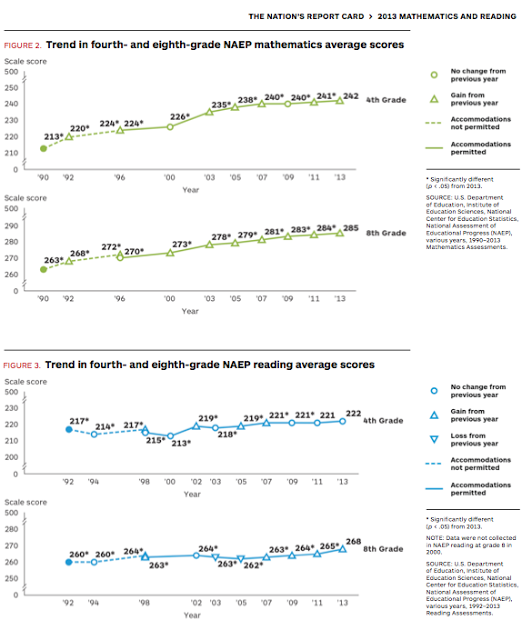 Revisiting the impact of NCLB high-stakes school accountability, capacity and resources: State NAEP 1990-2009 reading and math achievement gaps and trends. 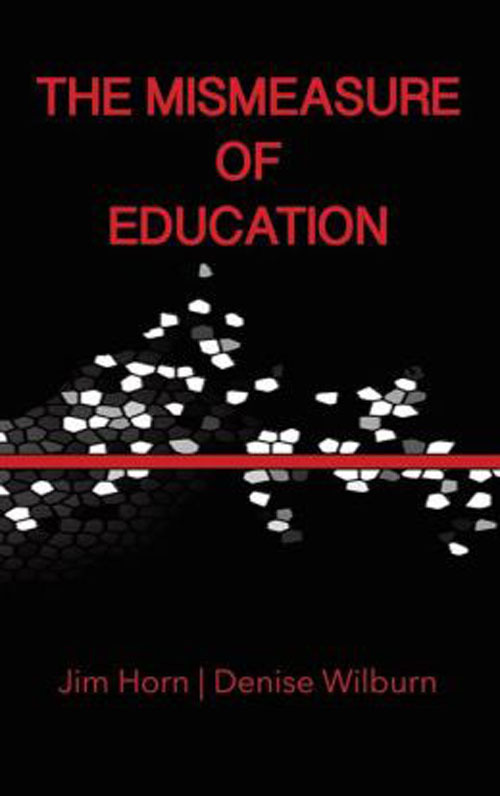 Education Evaluation and Policy Analysis, 34(2), 209-231. Newly seated Republican Governor Doug Ducey recently slashed higher education spending in Arizona by $75 million dollars, while sending nearly the same amount of state funds, $70 million, to private prisons. Arizona State University (ASU) President Michael Crow responded by calling for “modernization,” wanting the state’s public universities to be “as free and able to operate on an entrepreneurial basis as possible.” (ASU is governed by the same Board of Regents as UA.) . . . . Yesterday Marian Wright Edelman weighed in on the ESEA "debate" by coming out strong against the the House version of NCLB Corporate Takeover 2.0. Sadly in doing so, Edelman jumps onto the rickety testing-for-civil-rights bandwagon that is aimed directly for the ditch after almost 30 years of running down the same rutted path. Obviously, Edelman still believes what liberals pretended to believe in 1988 with the passage of Hawkins-Stafford, which set in motion the standards and testing juggernaut that has been effectively used to punish and deprive poor children, rather than to provide equity and equality. 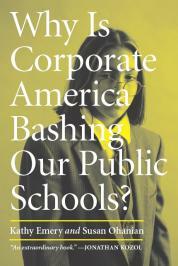 Interestingly, we see that since 1988 when the standardistas took charge and the Rule of the Business Roundtable began in earnest, the "achievement gap" that had been closing during the years of school desegregation and focus on equality, began to open up once more and resegregation began, and continues today. See charts below. More testing to close the achievement gaps, anyone?? What fool would believe that another generation of the same "high standards and accountability" would produce different results? Oh, yes, there is the corrupt corporate water carrier, Jonah Edelman, for one. New York Attorney General Eric Schneiderman is investigating dietary supplements being sold to consumers by the largest retail companies in the world. After years of billion dollar profits, people getting sick or wasting their money, New York's attorney is taking on some powerful corporations. "The scientific community, public health officials, and others have raised serious doubt about the steps taken to ensure the safety and efficacy of the herbal dietary supplements taken daily by millions of Americans," Schneiderman said in his letter. "As part of a broader investigation, NYAG is reviewing the sufficiency of the measures manufacturers and retailers are taking to independently assess the validity of their representations and advertising in connection with the sale of herbal supplements." Attorney General Eric Schneiderman sent letters Monday to four manufacturers, in Long Island, California and Utah, demanding detailed ingredient and quality control information on every herbal supplement they sell in New York state. The companies' products include the store-brand supplements Schneiderman ordered off the shelves at Walmart, Walgreen's, Target and GNC stores in New York state. What does this have to do with education you ask? Well, the scientific academic community in education has raised serious doubts about another bogus product, high stakes standardized tests. Obama hosted the nation's governors this past week in Washington DC, and he could have asked them to have their AG's investigate the education profiteers who have been selling the nation's public schools another toxic placebo costing taxpayers billions of dollars and decimating public schools, the teaching profession as they continue to destroy the souls of our nation's children with yet another revision of a bad policy. Even though Paul Krugman let the cat out of the bag this week by speaking truth to power and ripping the fig leaf off bad economic policy, it seems there's still no accountability for anyone except teachers for a situation they have absolutely no control over - growing poverty. 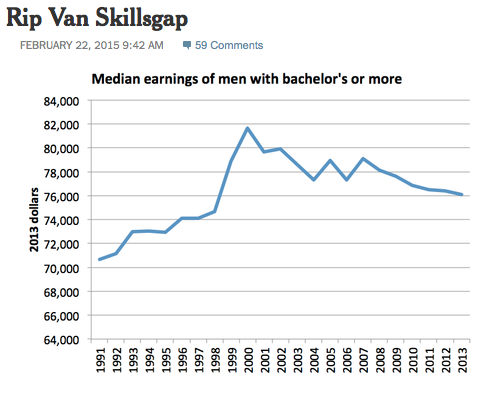 Krugman wrote: But if my math is right, the 90s ended 15 years ago — and since then wages of the highly educated have stagnated. Why on earth are we still hearing the same rhetoric about education as the solution to inequality and unemployment? Good question. I'm still waiting for an answer. One possible explanation could be the emperor just has no clothes. This little fictional tale from 1620 will make a good lesson this week as students prepare for PARCC testing. Perhaps it will reduce their anxiety just a little to reread The Emperor's New Clothes and help them understand why sitting at computers for hours answering inane questions instead of learning is taking up so much of their precious time in school. It's highly unlikely Diane Ravitch or her followers letters to Congress will put any clothes back on this emperor or make a difference in terms of sane legislative changes. As for me, I'm finished wasting my time. I just can't get excited about making another phone call, sending money to another organization, or standing out in the pouring rain and freezing cold to protest education policy. With all the hoopla in the blogosphere about reauthorization of ESEA, the latest media circus isn't focused on education but on the Department of Homeland Security and its employees being held hostage so Republicans can throw poor immigrant children under the school bus once again. Perhaps they'll find some common ground with Democrats and give immigrant children an opportunity to become soldiers, or work at a Walmart or even win the lottery and get a spot in a charter school or KIPP. So let's check in and see what's happening in DC as the on-line petitions, letters and phone calls flood the halls of our nation's capitol. 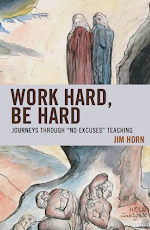 Congress continues to bloviate about a new and improved version of NCLB, aka, The Student Success Act There are so many important decisions to make for the powerful who send their children to private schools where none of these policies exist. Should we test once a year in every grade? Or what percentage of a teacher's salary and job security should be based on their student test scores, 10%, 25%, 50%? Meanwhile, there is some good news for those working at Walmart this week. The company, which made a few billion in profits and saw their revenues surge this quarter, is raising its hourly rate to $9! See, there's no need for Congress to pass a national living minimum wage and worker protections, no need for social studies, civics and history -- and no need for a college degree when you can look forward to $9 an hour at Walmart, or Target or another corporation that squeezes and abuses its workers and rewards its shareholders, its management team and the politicians in their back pocket. How many of our elected representatives in DC will do a "close reading" of the new and improved Student Success Act as they sit around discussing reauthorization of ESEA which has no chance in Hell of passing anyway. How many more books, blogs, columns, letters, protests, occupies and opt outs do we need before things change? Will public school teachers and schools in crumbling towns and communities, urban centers and rural areas continue to be judged on the test performance of hungry, sick, anxiety ridden and depressed kids who might have to attend "bad schools" as Michelle Obama so eloquently pointed out this past week. Looks like it. I wonder if the final version of The Student Success Act exceed the 1,100 pages of No Child Left Behind passed a few days after 9/11. Can't wait to see the final bill that will never make it to the President's desk because there seems to be no accountability in Washington DC or in Governor's offices where union bashing, teacher trashing and budget cuts are the new normal. Another train crash again today, this time in California? No reason to invest in railroads or mass transit, especially when those making the laws and directing the money are flying around on private jets, yachts and limos. Meanwhile, Arne Duncan is running around like Chicken Little warning the sky is falling because of Draconian budget cuts in the Republican proposal for education. Hasn't Arne figured out yet that the Student Success Act, just like No Child Left Behind, is the placebo or Golden Goose that laid the Golden egg; and the WMD sent to blow up public education by measuring every child, every year in every subject? Maybe he was too busy playing basketball with Obama when Margaret Spellings was running this at the Department of Education. In this upside down world of Alice in Wonderland, where up is down and right is left and no one can even tell the difference between right and wrong, just follow the Yellow Brick Road Arne. It will lead to a beautiful Utopia where everyone plays basketball with the rich and famous and the children of the poor sit at computer screens quietly, grateful that no matter how bad their schools are, they too can become a Walmart employee some day. It's good these youngsters aren't being taught how to close read quarterly financial statements or they might actually see the Wizard behind the curtain i.e., the billions of dollars in profits and tax breaks going to those who need it least and to the companies making their lives and futures a bleak, empty pile of debt and impossible odds. Like NCLB, The Student Success Act is shaping up to include more money for vouchers, charters and a little less testing to keep the teachers and students from literally killing themselves or someone else. Meanwhile, the intent of this insidious legislation written into law in 2001, is doing it's job by putting the final nail in the coffin of public education and democracy itself. The powerful and the wealthy are working overtime to cut the heart and soul out of the nation's public schools and its teacher unions, the one last bastion of job security and benefits about to be toppled in a world where even cooking is now a competitive sport. Since most teachers are women and some are the sole supporters of their families working around the clock to jump through all the hoops being thrown their way, Republicans in state houses and Congress are determined to turn the clock back about 100 years when women knew their place and were expected to be underpaid or not paid at all. Just think how much money the corporations could save on taxes if women just taught the children for free and took care of the elderly for free. No need for expensive social programs - free labor. So, how much longer will politicians and business leaders blame public school teachers for America losing its competitive edge in a global economy or for poor children not reaching their full earnings potential? That's actually one question I know the answer to, as long as they can.